Before the High Sierra update to 10.13.6 I was able to boot in single-user-recovery mode by holding Cmd-R-S at startup, but after the latest software update booting while holding Cmd-R-S just enters the regular Single-User Mode on the root volume (like if I pressed only Cmd-S). Is there a new method or alternative key combination to boot the RecoveryOS in Single-User Mode? EDIT: booting while holding Cmd-Option-R-S also starts in Single-user mode (not Single-user-recovery mode). On reboot hold Cmd+R and it will take us to the GUI recovery mode. There click on Utility and open Terminal, here we can run the csrutil command. Boot into single user mode Cmd+S to continue with the kext moving procedure. once done go back to GUI recovery to enable csrutil, then reboot. and do multiple reboots to test the machine boots back up properly. I have no issues now. I am in exactly the same situation for exactly the same reason. My early 2011 MacBook Pro was humming along fine with its dead dGPU until the cursed auto update went to work against my will. I can confirm the key combo still worked in 10.13.5 as that’s the last time I did the fix. I’m afraid unless somebody finds there’s a new key combo to get into single user recovery this latest update may have nerfed the bad GPU workaround as documented since it’s vital to disable SIP. I have a couple ideas about how to get around this involving having another Mac and external hard drives but I can’t try them until my kids go to sleep for the night. I will update here if I have any success. Did you try to boot on a bootable installer of a previous macOS version which supported single-user-recovery? I understand the goal of disabling SIP is to alter /System/. I guess booting in target disk mode and altering /System/ from another Mac bypasses SIP. On my Late 2011 MacBook Pro (MacBookPro8,2), I was able to boot into Recovery's Single User Mode on 10.13.6 by continuously holding down Cmd+R at boot and then a few seconds into the grey screen (but before anything else displays) moving directly to Cmd+R+S, not releasing the first two keys when transitioning. Might take a few tries as the timing is inexact. 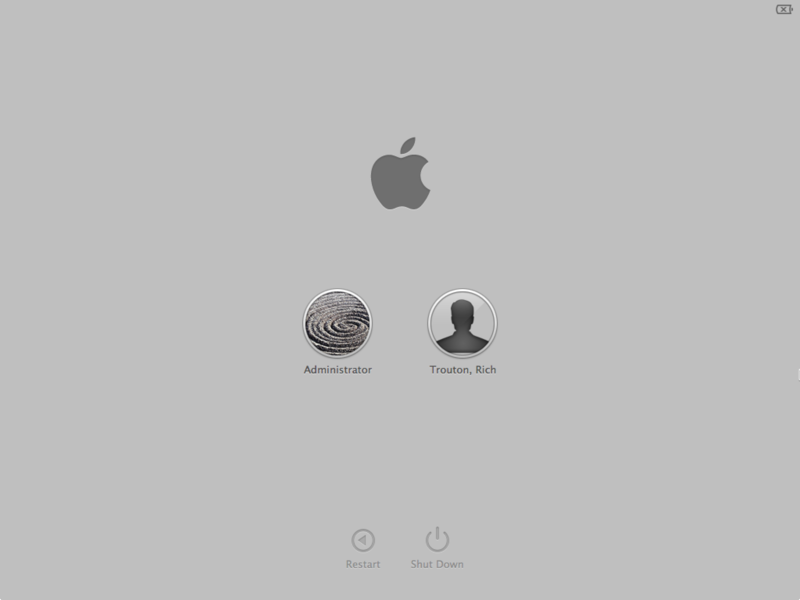 Before the fields are on-screen it's exactly the same solid-grey screen but without any other elements on top of it (Apple logo, login items, etc). It takes some time for the completely grey screen to move to what is pictured above. I add S to my key combo between this populated grey screen and the completely solid one. And I noticed that to get it to work consistently I had to add S closer to the appearance of the pictured populated grey screen than to the appearance of the initial solid-grey screen. I believe newer MacBooks no longer feature a grey screen when FileVault is enabled and instead opt for a black one which eventually becomes a much more attractive login screen with a wallpaper background image. If I had to guess this approach could still work for these MacBooks but I don't have one nearby to experiment with. The basic generalizable idea is that you hold Cmd+R continuously, press the power button, and then as soon as recovery mode starts you switch to holding Cmd+R+S continuously without releasing the first two keys. The annoying part is that if you switch to the second combination too late then recovery mode stops looking for it and boots into regular recovery. Too early and recovery never boots at all and you go to single user mode on the normal partition. Additionally annoyance is created by the fact that, at least on my MacBook, there is no visual indicator where recovery starts booting and you need to add the S. If recovery's loading bar appears it's already too late to add S.
Not the answer you're looking for? Browse other questions tagged macos high-sierra boot recovery single-user .